It's hard to believe that people have been living in the Arctic for 40,000 years. How can people survive in such a harsh environment and what would motivate them to stay? 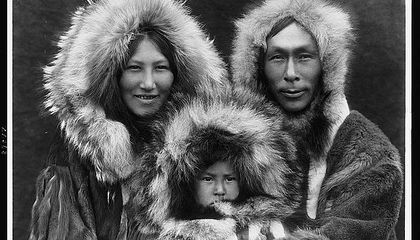 Anthropologists who study Arctic cultures have discovered that it's quite a hospitable place for those who figure out how to get by. Hundreds of cultures have occupied the Arctic over time and these communities have adapted to life on the ice. They invented a variety of ways to get around and find the resources they need. Skis, dogsleds, reindeer, kayaks and snowmobiles have helped Arctic people connect with each other and the natural resources. Natural resources that sustain Arctic life include huge concentrations of marine mammals, including bowhead whales and ringed seals and massive herds of land animals such as caribou. An Arctic mammal offers a full set of essential supplies. From clothing to food to cooking oils, plus bones to make tools or boat frames. Both people and the wildlife they depend on are intimately connected to Arctic conditions. Small changes in temperature lead to large changes in sea ice. The temperatures spur migrations and adaptations of animals and people. For thousands of years, Arctic people have been adjusting to seasonal fluctuations and longer-term climate changes. Find out more about how people in the Arctic adapt to changing conditions. Join us on Thursday, Nov. 5, 2015, for a Smithsonian Science How live webcast. It is titled Culture and Climate Change in the Arctic and airs at 11 a.m. and 2 p.m. EST on the Q?rius website. Archaeologist Dr. Bill Fitzhugh from the National Museum of Natural History will appear live to discuss and answer questions. Get teaching resources to support your webcast experience. The Arctic is changing and the people there are feeling different kinds of things that they have never felt before. The ice is melting and now we can barely walk on the ice that is there. The ice is melting and while the ice is melting, we are still burning fossil fuels and we are still using cars and people just don't know how to stop; while other people are dying because of this matter. I think the lifestyle, the climate, the culture, the nature, and the history of the Arctic motivates the people who live there to stay. There are probably not a lot of people who live in the Arctic, so the culture is stronger than more populated places. Also, because there are not of people living in the Arctic the nature is more real, so you probably don't have to go to national parks to find real nature. I find this interesting because I enjoy the cold. I wonder why it is expected of them to move just because the climate is colder than what we are used to, what if they don't know anything else and are perfectly happy. What motivates people to stay in the arctic is the fact that there is a lot of supplies to support many people. "An Arctic mammal offers a full set of essential supplies. "(paragraph 3) Also,"They invented a variety of ways to get around and find the resources they need. 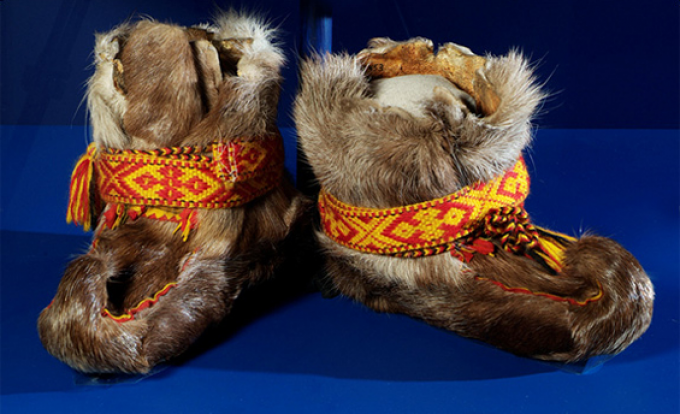 Skis, dogsleds, reindeer, kayaks and snowmobiles have helped Arctic people connect with each other and the natural resources." This shows that it is easy to communicate with other people and to hunt food. Why would they leave? I thought this article motivated me to go to the arctic some day and see for myself how these people use their snow skills in action. I think that the people are smart to find many ways to adapt to the severe conditions of the arctic. They have made and figured out many tools and ways that can help them to survive in the Arctic. The Arctic is a cold place so people need to be smart about how they will survive. Arctic people have been adjusting to seasonal fluctuations and longer-term climate change for many years because they have to connect with the climate, animals, and natural resources that are found in the Arctic. I think their motivation comes from their ancestors; they have established a way of life, and they don't want to leave their heritage behind. I didn't realize how many people have lived in such a cold environment for so long. I think it's interesting that the people living there have such a different lifestyle and ways of transportation. Those people must have harsh lives because they live in a harsh environment. I do hope I won't ever live in those harsh place. I hope I live in a beautiful place with marvelous landscapes. Why don't those people come to America and have good life? I guess they wanted to keep their family tradition by staying in the Arctic. If I were them I would run away from my parents. I think I could handle the harsh weather if I have all the supplies that I need. I think I could do it. Now I am brave not scared of a weather. I could do it so can you all make a good luck wish for me? I think it is just the fact that they like their homeland. Some people do like the cold, and others may think it is a good place to live. It must be quiet in the Arctic region. Others may like living a bit more naturally. It would be a good place to enjoy nature, and it lets people live like their ancestors lived. Interesting. What do you mean by, "more naturally"? What motivates them to stay? They have a natural life and the weather doesn't bother them.